Critics still see the Muslim Brotherhood as a source of Islamic extremism, but the New York Times (July 16) reports that the movement is struggling for survival in its birthplace of Egypt and among exiles. Current members of the group, many of whom are in exile or in prison, say the group has become more democratic but also more marginal and divided, writes Patrick Kingsley: “They say it has little ability to exert control over even its own members, let alone the governments of the Middle East.” In 2011, the Muslim Brotherhood seemed to be the coming force in regional politics; in Egypt, its own member Mohamed Mosi became president, while in Tunisia and Syria, the Brotherhood emerged as a powerful revolutionary force. 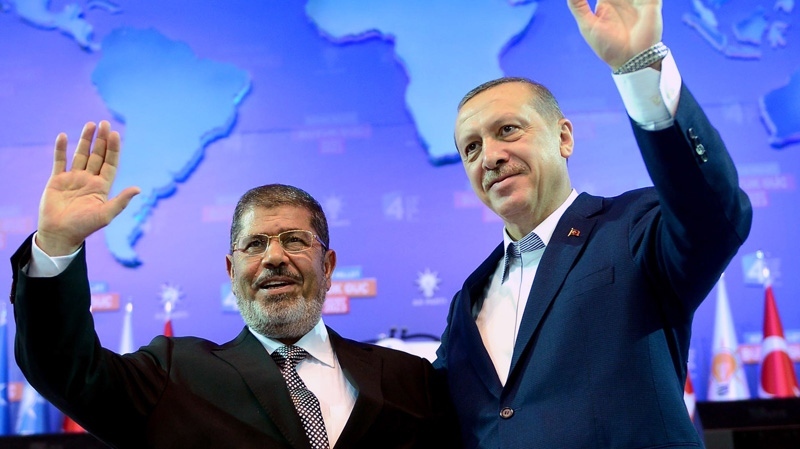 But much of the leadership has been rendered powerless after Morsi was ousted from the presidency and thousands were killed or imprisoned, with other members fleeing to Qatar and, more often, Turkey. Without communication with the leadership or material support, the members in exile are now openly disagreeing with leaders in what was once a hierarchical group. The brotherhood is divided between those favoring the hierarchy’s gradualist approach and smaller factions favoring greater confrontation with the Egyptian state. Exiled members tend to support neither approach, claiming that the hierarchy is too pietistic and the confrontationists can lead to possible civil war, as in the cases of Syria and Algeria. The exiles’ experience in Turkey may affect their political approach, coming to reflect the majoritarian style of President Recip Tayyep Erdogan, who has cracked down on competing sects and opponents.